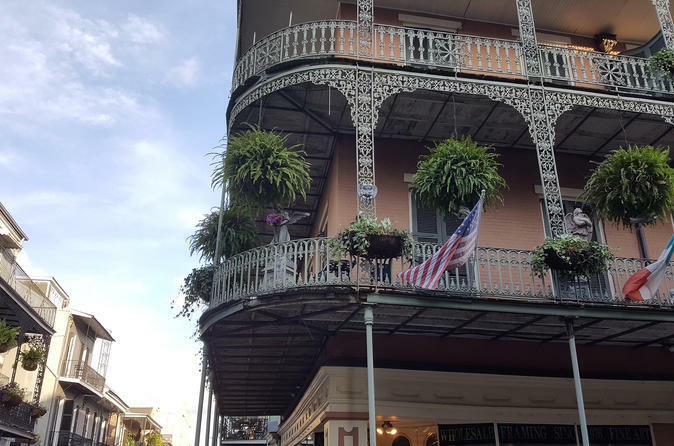 The French Quarter is a place with 300 years of history drenched in stories both delightful and depraved. Experience both New Orleans' past and present culture–along the way finding exciting activities to try during your visit! New Orleans’ French Quarter is a place of majesty and saga, with 300 years of history drenched in stories–both delightful and wicked. On this tour, you’ll learn about the humble beginnings of our city that have shaped this unique area of town. You will experience both the past and our present culture–along the way finding exciting activities to try during your visit! New Orleans’s Vieux Carré (meaning “old square”) is a one-of-a-kind location that people from throughout the world flock to–and for good reason. From the mighty Mississippi River to buildings that pre-date the founding of our country, we will guide you on a tour of that character that keeps people coming back for more.